Cool Beans: a 9-part caffeinated series! One of the best parts of my mornings…a fresh brew in my favorite cup – it is like a hug! French Press, Cappuccino maker or the old fashioned way – This is How We Brew It! Pick your favorites to stitch alone or complete all 9 in a complimentary Cool Beans Border. Fun sayings, coffee house colors: plan to decorate your coffee nook! 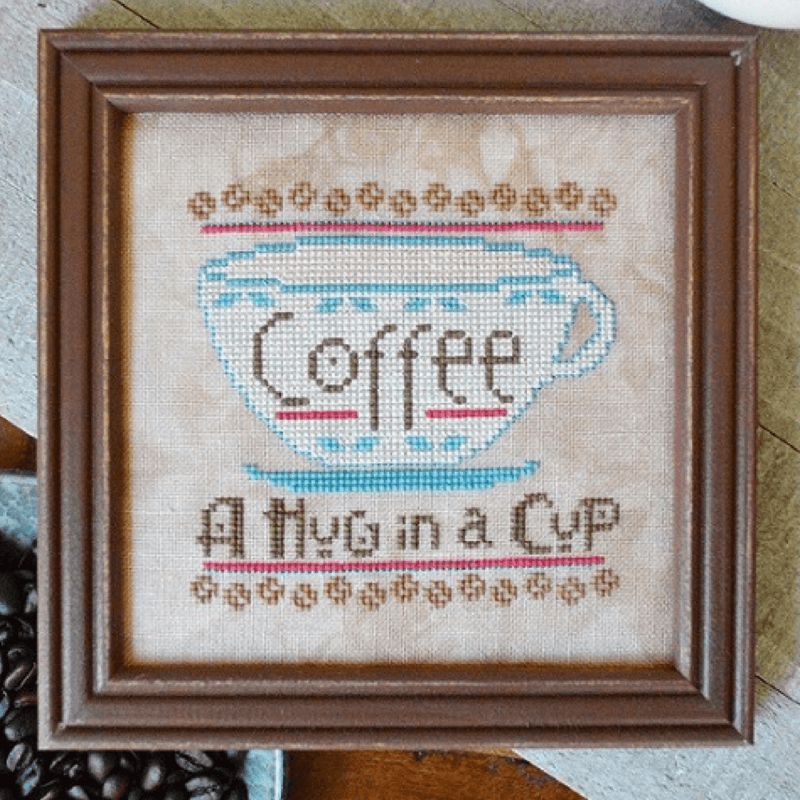 These quick stitches make great gift for your caffeine loving friends!